July 19, 2014 - Sgt. 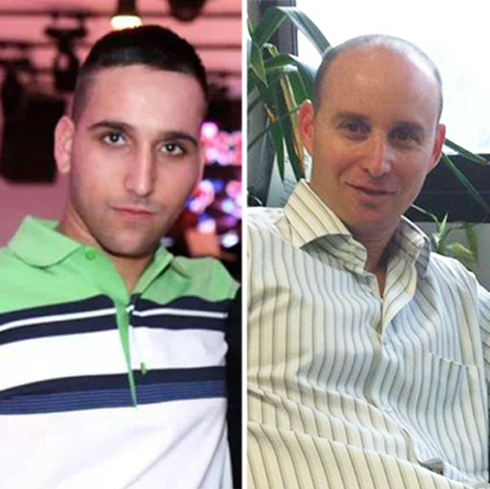 Adar Barsano, 20, from Nahariya and Maj. Amotz Greenberg, 45, an IDF officer, from Hod HaSharon, were killed after terrorists tried to infiltrate Israel Saturday morning, two also sustained moderate wounds in the incident. IDF soldiers also killed one of at least nine terrorists who tried to infiltrate southern Israel on Saturday morning, in the Eshkol region, some 15 kilometers from the southern Gaza border. According to the IDF, in the early morning hours an attempted infiltration attempted was thwarted. "A number of terrorists entered Israel through a terror tunnel and opened fire on IDF forces who were patrolling the area," the IDF said, adding the forces returned fire and managed to "repel" the terrorists. An initial investigation revealed that no less than nine terrorists, armed with guns and anti-tank missiles attempted to enter Israel, apparently in a bid to penetrate into a southern community and undertake a massive terror attack which could have seen numerous Israelis killed. Israeli security forces told residents of the area to remain in their homes during the incident. The order was lifted in the early afternoon, but residents were reminded tro remain 15 seconds away from a shelter at all times. A number of terrorists infiltrated through a terror tunnel and opened fire with both machine guns and anti-tank missiles at an IDF force patrolling area. The troops returned fire and pushed the terrorists back into the Gaza Strip. IAF aircrafts also stuck several terrorists during the invidents.